Disclosure: This is not a sponsored post. We were facilitated with a gift card to help buy supplies for our cupcakes. All words and opinions are 100% our own as always. 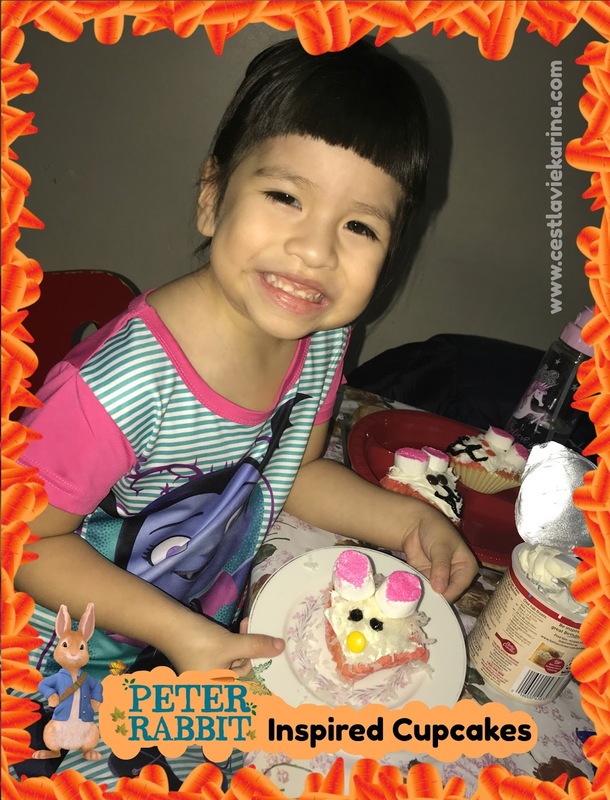 In honor of the Peter Rabbit animated movie coming out this Friday, February 9th we decided to make some fun, Peter Rabbit inspired cupcakes. The keyword here is inspired, you will see what I mean by the end of this post. It's always fun to be able to bake a fun treat that you little one can help with. I remember when Miguel was younger, he would love to bake and decorate cupcakes with me. 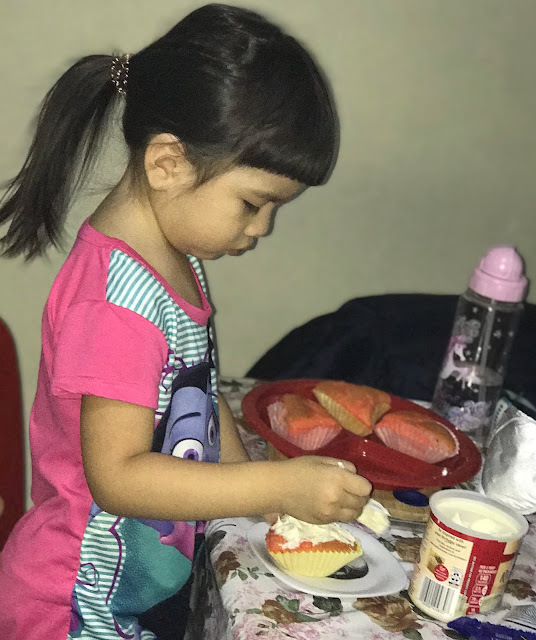 Valentina is no different and when she found out that we would be making some Peter Rabbit inspired cupcakes, she kept asking me to go and buy the ingredients we would need. After cupcakes are cool. We each grabbed a cupcake and covered it with vanilla frosting. Valentina loves adding the frosting, it might have something to do with licking the frosting off her little fingers. We then covered the vanilla frosting with the shredded coconut, it needs to resemble a fluffy bunny after all. Marshmallow is cut in half, so that each side now has a very sticky side to it. Pink sugared sprinkles are added to a bowl for easy access. Each half of the marshmallow now resembles two bunny ears, we took each sticky side and dipped it in the pink sprinkles. We were left with two cute pink ears. For the finishing touches we added to gel dots to resemble eyes and one m&m for the nose. Valentinas Peter Rabbit inspired cupcake looks a little mad, which made her a little sad but after reminding her how we are all different and how everyone makes different kind of art she decided that her cupcake was a little bit cute, therefor she decided to swap with me and insisted I say that this was my finished product. So ta-da my Peter Rabbit inspired cupcake was done. The best part of all aside from eating our finished product was the fun family memories that were made. We took about an hour and after decorating our rabbit cupcakes we decided to make a cake. You won't want to miss Peter Rabbit which hits movie theaters this Friday, February 9th. It promises to be a fun family movie. We have yet to watch it, since we missed the screening we were supposed to attend due to Valentina being sick but we will be buying our tickets and hope to see it this weekend as we celebrate Valentina's birthday week.